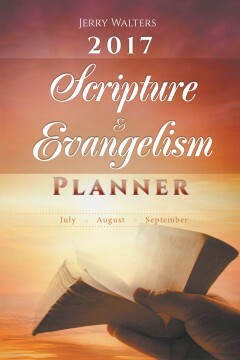 This book, ‘2017 Scripture & Evangelism Planner,’ has been at least fifty years in the making. Suffering from asthma and bouts of pneumonia as a young boy, it was sometimes difficult to sleep and I missed quite a bit of school at times. But I was an avid reader and I studied the Bible at a young age. About fifty years ago I nearly lost my life, but the Lord spared me and the medicine for my condition was rapidly improving at that time. The study of God’s Word has always been a part of my life. As my health slowly improved, I became a Sunday school teacher and taught children for much of my life, as well as serving in many areas of ministry and Church life. My work background is raising flowering bare root perennials at my family nursery in Holland, Michigan. I had been married for more than twenty-five years and had three sons before experiencing the tragedy of divorce. Yet again the Lord was merciful and I became involved in a Korean Church plant. Through the pastor of the Korean church, I went on two study tours in South Korea in 2013 and through him I was introduced to a dynamic Christian woman named Woonja Back. She was the first member of her family to accept Jesus into her life. Sharing the same love of Scripture and Evangelism, we were married on February 2, 2014 in Holland, Michigan and also had a wedding ceremony at her church in Incheon. However, the immigration process took two years to complete so that she could reside in the US, so I spent as much time in Korea as possible. During my visits and ministry in Korea, I witnessed a number of people in Korea accept Jesus into their hearts, even though I don’t speak Korean beyond a few words and phrases. Convinced that the Word of God brings salvation, I began writing a series of four books on January 1, 2017 and I have been posting my daily morning and evening lessons on Facebook. My prayer is that anyone who picks up this book or reads my lessons online will experience the same mercy that the Lord has shown to me. This commentary provides detailed analysis of the book of Revelation. 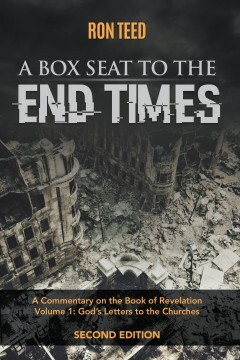 In customary form, Ron Teed’s work will aid the general reader as well as students and pastors looking for an easy-to-read and understand, yet in-depth discussion of the book of Revelation and End Time prophecy. Teed unpacks the text verse by verse while remaining true to the scriptural content. The commentary analyzes popular conceptions of the rapture, the millennial kingdom, the 144,000, and the antichrist while testing them against Scripture, providing a vivid portrait of each scene of John’s apocalypse. 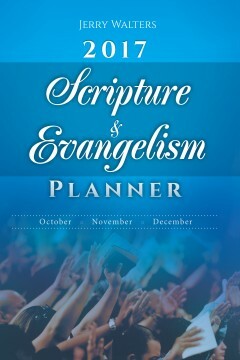 Teed’s insight and exposition will aid the general reader as well as students and pastors. RON TEED lives in Wheaton, Illinois, with his wife Betty. While in college he became an atheist and he remained an ardent atheist until a series of di_ cult circumstances forced him to his knees, saying, “God, if you’re there, I need you. Please help me.” Ron began studying the Bible, spending many hours a day doing so. _ rough that study he came into a personal relationship with Jesus Christ. He began leading Bible studies, which were expositional in nature, and eventually went to Wheaton College Graduate School where he earned his master’s degree in Biblical and Theological studies. Betty Riley Teed received the Lord as her Savior as a child and then attended Wheaton College, where she earned a Master’s Degree in Christian Education. She worked for twelve years as a writer and editor at Scripture Press Publications before returning to school. She is currently a clinical psychologist. Ron and Betty established Village Church of Wheaton in October 2003 where they continue to serve as co-pastors. Ron excels at expository teaching of the Word and these commentaries grew out of several series of messages delivered at Village Church. 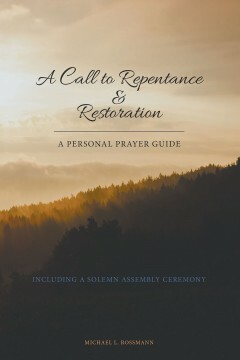 A Call to Repentance & Restoration is a personal prayer guide designed to be used in private, small or large group settings by individuals, churches and organizations who desire to draw closer to the Lord in response to His call to repentance and restoration. Within this personal prayer guide are prayers of praise, thanksgiving, and confession for both the new follower and the seasoned disciple of Jesus, offering specific steps to take in responding to this call. Born in the to a poor family, just a year before the stock market crash and the beginning of the Great Depression, growing into A CHRISTIAN FATHER A MAN OF FAITH. A working man raising a family in the turbulent 60’s with Faith through trying times. Dad as a young man would see his father die a horrific death. Becoming a man with Christian values and principles the Lords man whose life touched others having an effect on all. 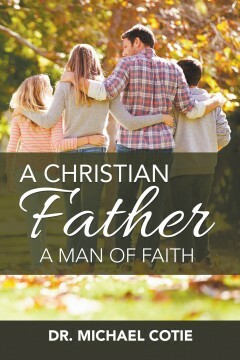 His legacy continues as seen in A CHRISTIAN FATHER A MAN OF FAITH. Dr. Michael W. Cotie is a pastor-teacher, called by God and Pastor of Baptist Church in Dayton Texas. Bro. Mike earned his bachelor’s degree from Louisiana Baptist University, his Masters of Theology from Slidell Baptist Seminary as well as his Doctor of Theology. Bro. Mike has been a believer in the Lord Jesus Christ since 1963. He felt God calling him to the ministry shortly after High School Graduation and surrendering to God’s call in the 1980’s. Serving God from that point. Love exists and the topic of this book is where does Love come from, why is Love an Absolute, who is this Absolute Love, what does this Absolute Love look like, and what are the characteristics of Love? Love is an entity, one entity a unity of substance, purpose and power. Love is a personal being that is ultimate power and absolute personhood. All else is relative to Love, created by Love, sustained by Love, defined by Love and ultimately judged by Love. 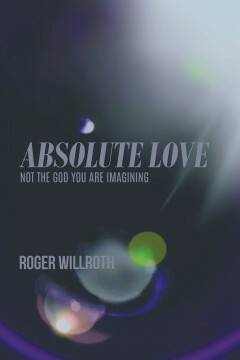 ROGER WILLROTH lives in Ames, Iowa. He has been married to Cathy for 40 years. Roger and Cathy have one daughter, Megan. Roger graduated from The University of Northwestern St. Paul in 1978 and from Bethel University Seminary in 1983. Roger enjoys reading and writing, friends, traveling and golf. 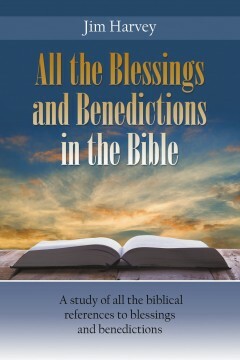 A comprehensive survey of all the biblical references to blessings and benedictions. The purpose for this study is to assist learners in gaining an awareness of the various occurrences of the many spoken and written blessings and benedictions found in the Scriptures in order to claim them for personal benefit and to share them with others. Study Guides follow each section to be used for personal and group learning. Jim Harvey is a professor of biblical studies at Williamson College in Franklin, Tennessee. Prior to his retirement he was the pastor of churches in Oklahoma, New Mexico, Arizona, and Tennessee. He holds degrees from the University of Oklahoma, Southwestern Baptist Theological Seminary, and Gateway Seminary. He and his wife, Val, have been married for over 60 years and have two children, two grandchildren, and one great-grandchild. Jim and Val have had a long career in writing books, Bible study curriculum, and magazine articles. Maryann Brickett (Stupka). 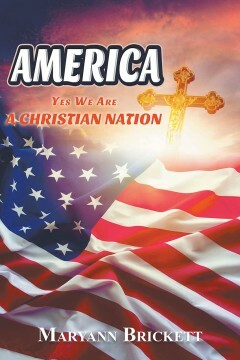 In her book, Maryann argues the case for all Americans to realize that America is a Christian nation. While America allows “freedom of religion” for everyone, there is a strong case that the founding fathers dedicated this land to God, and America’s constitution, laws, culture, traditions, customs, morality, and way of life are a direct result of biblical influence from the Bible. Using biblical citations Maryann outlines the Ten Commandments and how America has broken them. The book analyzes past civilizations which have fallen to the same immoral and debt ridden levels that America has now and shows how those civilizations have either ceased to exist or are now Third World countries. Maryann builds her case on the hundreds of famous people, including presidents, scientists, statesmen, and others who have proclaimed their strong faith in God. They have stated that it is impossible to govern without His divine help. Maryann also cites many of America’s cities which bear biblical names. Her goal is to inform readers of our nation’s roots, rich heritage, and engage them in the culture war to regain our country, one family at a time. One nation is one country, “under God” with liberty and justice for all. Have you been so sure that you are on the right track, only to have the Lord pull your coattail to let you know that you need to “Be still,” you are moving in the wrong direction? This book will encourage you to turn away from your own ways and follow the lead of the Holy Spirit. This book is for the ones who are tired of making the same mistakes over and over again. It will remind you that God is in control, even when it does not look like there is a God. God is not dead. He will return, and there will be a new heaven and a new earth and only the ones who have been washed in the blood of Jesus will live forever with Jesus. There will be no end to his kingdom. Amen. 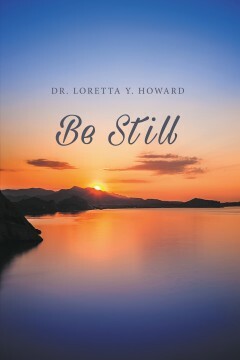 Dr. Loretta Y. Howard attended Bethune-Cookman University in Daytona Beach, Florida. She is an ordained minister at First African Missionary Baptist Church in Green Cove Springs, Florida. She is the author of four other books, Walking on Broken Pieces, Growing in Ministry, Women Suffering in Silence, and In Times Like These We Need to Change the Way We Do Church. She loves God! Do you love God? For years H. Vandergouw has been sensitized by the Lord in regard to the last days we are living in. One of the areas that the Lord has targeted is the economic state of this country in relationship to the new global economic order envisioned with the coming Day of the Lord. His previous writing of Signs of the Coming Messiah in This Generation in 2011 included a chapter that considered our ominous economic realm that not only our nation was beset with, but that of the world. Since that time, even greater warning signs are becoming evident which are issuing “critical” alarms as never before. Sadly, our government and media are either suppressing and/or covering up the dangers these alarms are presenting. Using Biblical precedence and the historical results of past Shemitahs and Jubilees, 2016 – which is a Jubilee year – could be the year where a serious economic “fall” takes place. In this regard, the Lord gave this author “Actionable Recommendations” as He called them for your benefit. Why? 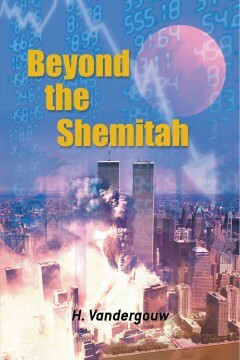 To help you PREPARE for potentially the greatest economic collapse this world will ever experience. It is my sincere hope that this book will be a practical resource and guide for you and your loved ones in the perilous days ahead.